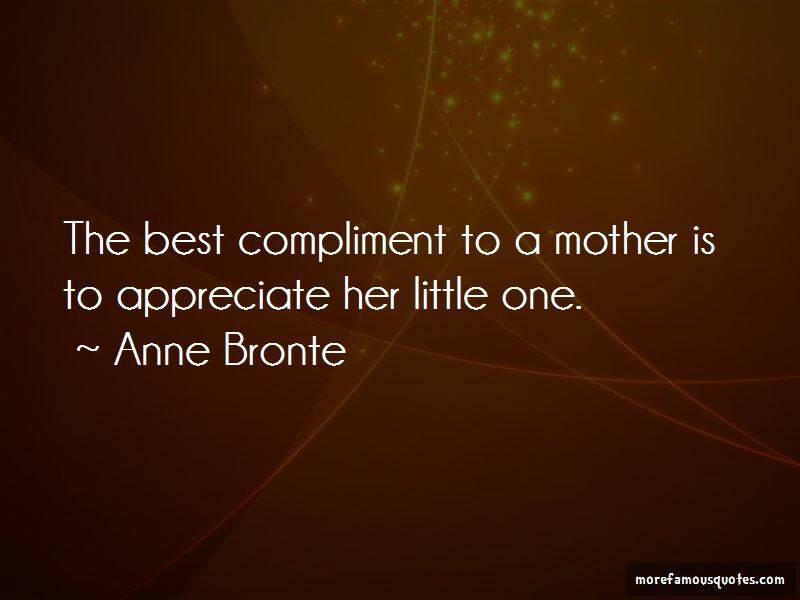 Enjoy the top 39 famous quotes, sayings and quotations by Anne Bronte. Keep both heart and hand in your own possession, till you see good reason to part with them. Because the road is rough and long, Should we despise the skylark's song? A girl's affections should never be won unsought. I am truly miserable - more so than I like to acknowledge to myself. Pride refuses to aid me. It has brought me into the scrape, and will not help me out of it. Forgetfulness is not to be purchased with a wish; and I cannot bestow my esteem on all who desire it, unless they deserve it too. If ever I am a mother I will zealously strive against this crime of over- indulgence. I can hardly give it a milder name when I think of the evils it brings. 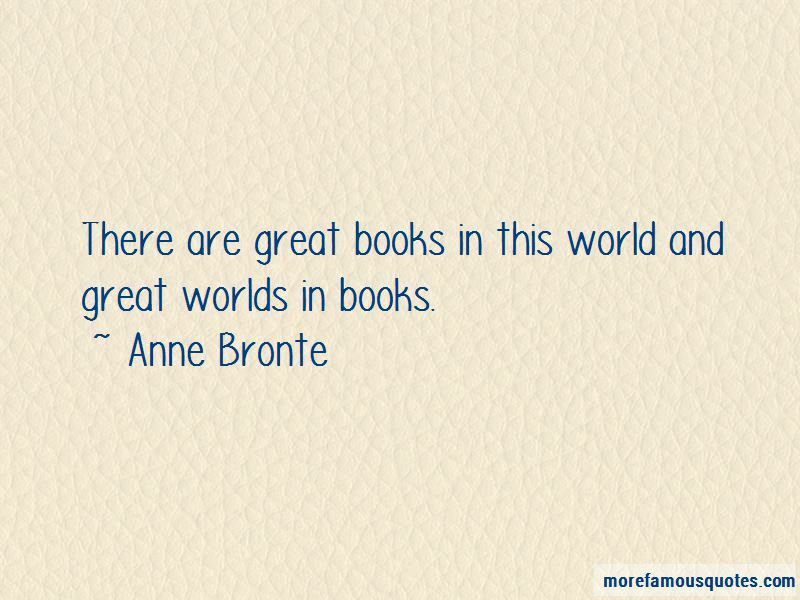 There are great books in this world and great worlds in books. You might as well sell yourself to slavery at once, as marry man you dislike. “Our children, Edward, Agnes, and little Mary, promise well; their education, for the time being, is chiefly committed to me; and they shall want no good thing that a mother's care can give. 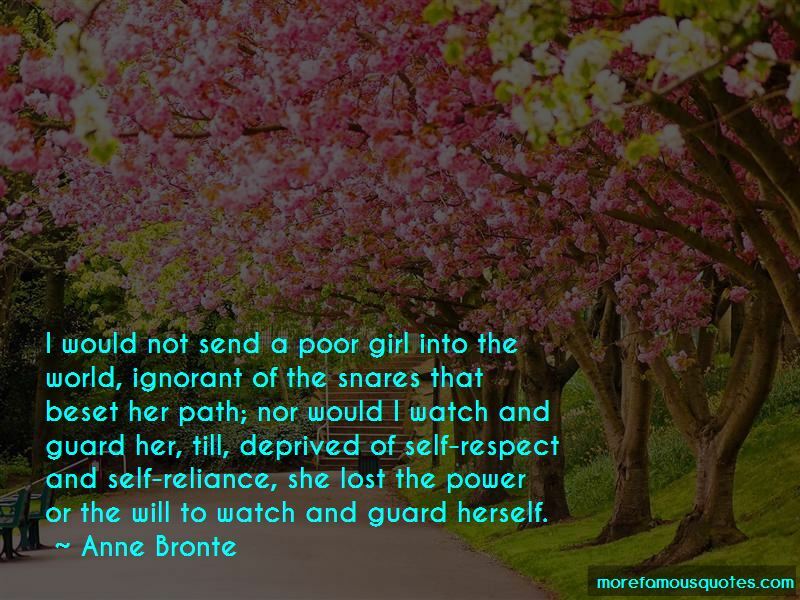 Want to see more pictures of Anne Bronte quotes? 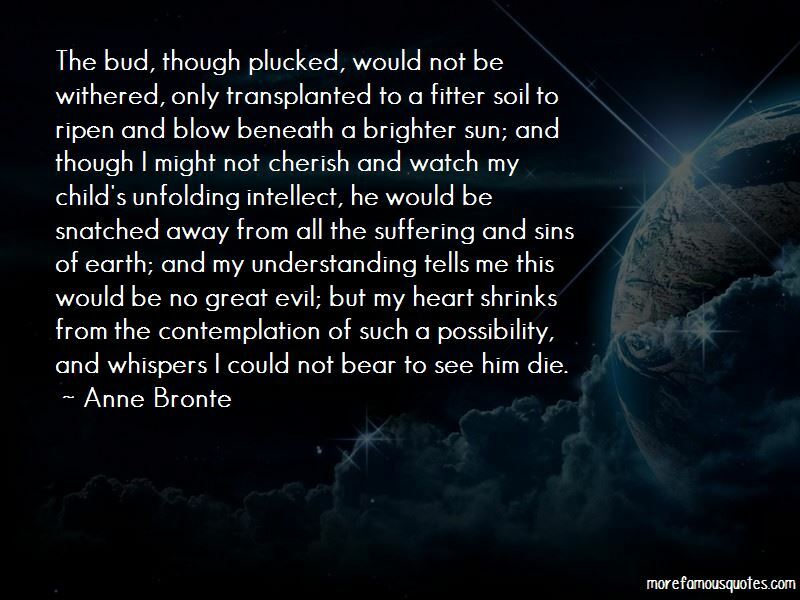 Click on image of Anne Bronte quotes to view full size.